While customers appreciate the human touch, when they’re on the go they also strive for speed and efficiency 24/7. Many tasks (whether it’s adjusting a reservation or making a special request) can be performed quicker through an app, a website or via a chatbot at any time of the day or night. Even if the request is made during working hours, also consider the fact that the customer could be in a queue or airport lounge and it might not be appropriate or convenient to make calls to your business. Providing self-service options that make sense for your business won’t just improve business efficiency, but it will also empower your customers to proactively and proficiently service themselves. Travelling customers are likely to favour using digital channels to interact with your business – this could be email, social media or even web chat. The challenge with these channels is managing expectations – an instant channel requires not just an immediate response, but a speedy resolution. If travel plans need to be altered at a moment’s notice, for example, your business processes need to be flexible enough to allow for this, and provide customers with immediate feedback. Anything short of excellent service and lightning-fast responsiveness may leave your customers stranded, literally. Your customers will appreciate that you’ve set up your business to service them in a way that makes sense for their needs and their lifestyle, rather than trying to shoehorn them into a process that might work for your business, but not for them. According to a Verto Analytics study, the average accommodation purchase journey is 36 days and involves 45 touchpoints across multiple devices and websites. Now think about how many potential interactions there could be once the customer eventually stays at your hotel. When evaluating your service and the overall customer experience, do you focus more on the Instagram-worthy grand gestures that get you noticed (e.g. providing generous freebies on special occasions or throwing in free additional services)? Or, do you approach it like you would any budding relationship and consider all the small and nuanced impressions that accumulate to create an overall level of satisfaction and sentiment? Grand gestures may temporarily impress, but it does not create a consistent and lasting impression in the minds of customers. 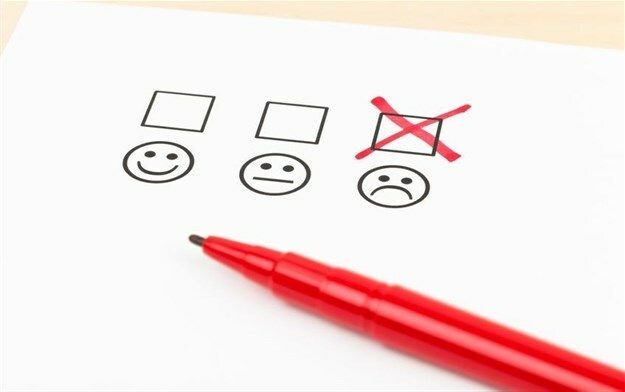 If you’re serious about improving your CX and delivering service excellence, focus on identifying and maintaining the small impressions that matter to customers, while removing those that customers dislike. As businesses, we’re often told that mistakes happen but it is how we respond to them that makes the difference. But, once the issue has been rectified, do you follow up? A simple follow up, whether this is via your contact centre, via email or WhatsApp, or via a staff member at your hotel, it presents an opportunity to understand whether the customer was satisfied with the way that it was handled. This could provide opportunities to learn and improve – a critical part of getting to know and understand your customers to provide the level of service they typically expect. While this is by no means an exhaustive list, identifying possible pitfalls and pro-actively putting in plans to address them will help you rectify any potential customer service mistakes that could have a negative impact on your business. We’ve all heard the cliché that "customers vote with their feet", but it’s really up to you to decide what to do with them once they get there.